Ultraframe has produced an aspirational new range of marketing literature which clearly shows the benefits of its industry leading conservatory roofing systems and makes the installer’s job of selling them to the homeowner even easier. The new look marketing support pack features the complete range of publications designed to promote Ultraframe products to homeowners, plus a series of Technical Guides and step by step installation guides aimed at improving product knowledge and simplifying the specifying and building process for installers. The consumer literature takes the form of contemporary styled magazines, packed with inspirational ideas for homeowners and stunning photography. The Ultraframe Conservatory Directory is the most comprehensive and stylish presentation brochure of conservatory styles available, guaranteed to impress potential customers and help convert a sale. The 44 page Directory features inspiring images of both traditional and contemporary styled conservatories along with an ancillaries and options section to help homeowners design the conservatory of their dreams. The technical reassurance offered by Ultraframe roof systems is also outlined to ensure the homeowner’s complete peace of mind. 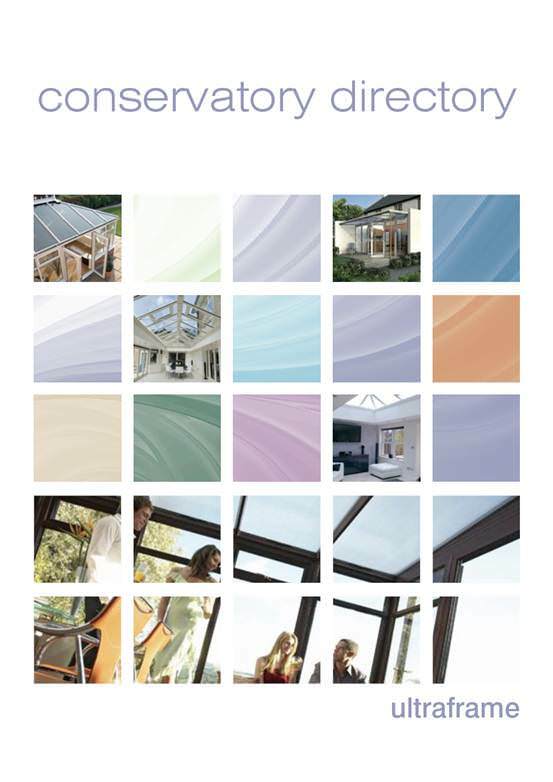 The new Ultraframe Conservatory Directory is available off the shelf in packs of 25, or can be easily adapted as a personalised brochure with one of four stylish template designs. These allow Ultraframe customers to choose a colour scheme for the front cover that best suits their company’s livery and add in their logo and address details. To truly personalise the directory Ultraframe will design and produce an entirely bespoke front cover at an additional cost. 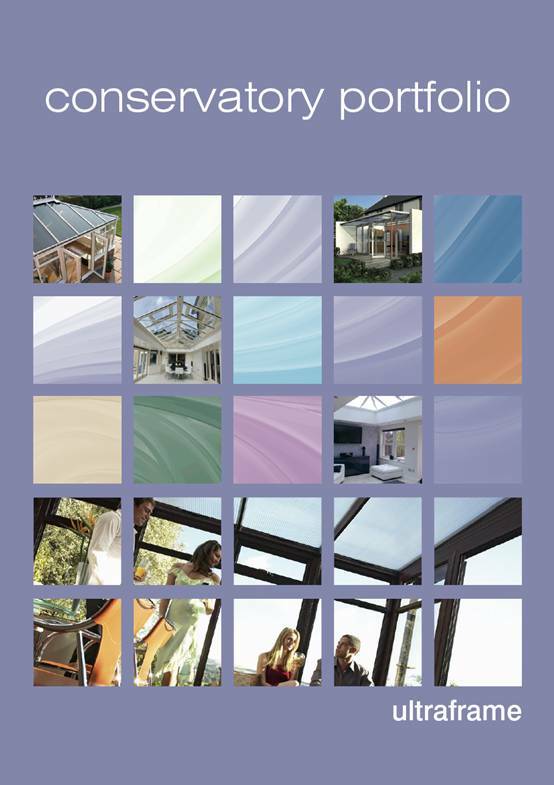 The Ultraframe Conservatory Portfolio is a shortform version of the directory and is ideal for use at shows and exhibitions, or for mailshots and leaflet drops. The Portfolio leaflet features eight pages of eye-catching photography and CAD drawings. It demonstrates Ultraframe’s ability to offer a stylish conservatory roofing solution for every type of property, taste and budget and helps homeowners find the conservatory that best suits their needs. The portfolio leaflet is supplied shrink-wrapped in packs of 100, with an area on the back cover for Ultraframe customers to stamp or sticker their company details. The relaunched Ultra Guide to Conservatories, exclusive to Guild Approved Ultra Installers, is a glossy magazine containing everything a homeowner needs to know when planning a conservatory extension. It positions a conservatory as a lifestyle choice and guides the consumer through choosing, designing and building a new way of life. A flyer promoting the Ultra Guide and advising homeowners on how to find a Guild Approved Ultra Installer is available to Ultra Installers free of charge and is perfect for leaflet drops or exhibitions. Members of the Guild Approved Ultra Installer Scheme also benefit from a 10% discount on all orders of Ultraframe’s standard marketing materials. Ultraframe has a range of high quality product brochures for the homeowner which outline the individual benefits of each Ultraframe roofing system and contain inspiring photography. Stylish leaflets cover additional options such as ceiling fans, Ultraselect, Conservaglass and Conservaflash. As part of its marketing package Ultraframe also provides an extensive range of informative literature aimed at the Ultraframe system user. Easy to follow installation guides on all Ultraframe roofing systems are supplied free with each roof order, or can be ordered in packs of 25. Technical Guides to each system are also available and come free of charge in packs of 25. They provide comprehensive information on the features, benefits, configurability and options of each Ultraframe roofing system. Ultraframe users can also order a pocket-sized Roof Calculator, a unique tool to determine the dimensions of glass and polycarbonate roofs. Finally to aid with any presentations and further marketing, disks containing photographs, logos and CAD drawings are available to order. Ultraframe’s development of its marketing literature forms part of the company’s Customer First initiative, a drive to provide industry-leading service for all its customers.